Every year we pick out the key indicators issued by the statistics department of The Cabildo for you. 2018 was a very good year for the island. Teaming is an easy way for you to support your favourite Lanzarote charities by making small, secure donations each month. The Lava Beach Hotel in Matagorda is a five star and is Lanzarote’s newest hotel. We have a fabulous offer there for a luxury pre Christmas break. 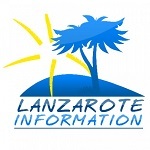 The planned strikes by handlers at Spain’s airports over Easter do affect Lanzarote. We’re hopeful that there will be minimal disruption. Norman covered four gigs last week and tells us all about them, and adds a very useful list of the various free concerts that are part of Manrique 100. In brief news this week, an Irish girl saved by lifeguards, taxi queues expected at airport over Easter, plice targeting drivers using phones and more.